Homecoming celebrates the fall season and the return of student life. It is a special occasion for those attending high schools and colleges. This annual celebration is one of the most anticipated social events of the school year. As such, many Spring, TX students choose to celebrate in style with MK Limo. Our exquisite limousines and superior service make homecoming an unforgettable evening of fun, luxury, and excitement, while maintaining the highest standards of safety and professionalism to ensure the night goes smoothly for all involved. Enjoy the glitz and glamour of red carpet treatment for a magical homecoming experience. The homecoming dance is a perfect opportunity for budding romance. Although unnecessary, it is not uncommon to attend the event with a date. Those striving to create a romantic evening to impress a special someone may choose to book luxury transportation for the evening through MK Limo. Our elegant vehicles are designed to draw attention and admiration. With a diverse fleet of luxury limos to offer Spring, TX residents, we are able to provide the perfect transportation option for couples or larger groups. A cozy limousine or town car makes the ideal setting to relax and have fun with your date between home and the dance. The luxury and romance of our limos will make homecoming an unforgettable and unique experience. MK Limo is the place to go for mass group transportation. Our party buses boast an impressive passenger capacity of 25, providing ample room for everyone to relax comfortably in their evening attire. 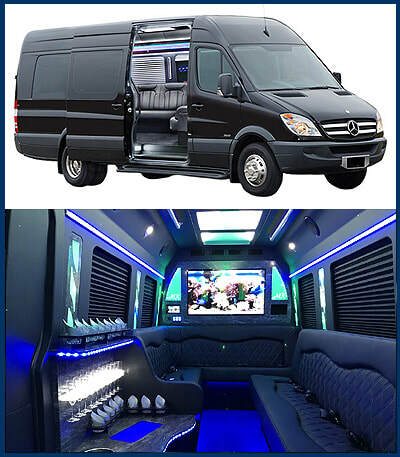 With much more to offer than a regular school bus, our party buses are stunning, classy, and decked out with a full suite of amenities for your group's enjoyment. No one need be excluded from your entourage when you choose our Turtle Top Party Bus for your homecoming transportation. ​Parents who are concerned about the well-being and safety of their children during the hectic homecoming events can feel confident booking with MK Limo. We are a professional and reputable limousine rental service with extensive experience providing reliable private transportation to Spring, TX residents for all special events and occasions. We exercise the highest level of vigilance and care to ensure our passengers have a safe, fun, and luxurious experience during homecoming. If you are a parent with further questions or concerns regarding our service, please do not hesitate to inquire.